I love chocolate and to be honest I have to have at least a small piece every day and this is why I'll never be a size 8. I could say no to it but we all need something to look forward too. For some people it's wine, for me it's chocolate. The milkier and creamier the better when it's for eating but a high cocoa content is much better when it comes to brownies and cake. It really is the best and can be used in so many recipes. Add salted caramel and you are on to a whole new level on heaven! 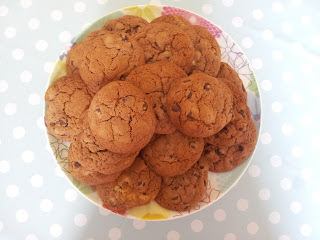 Take cookies for example, I don't know about you but you can't beat a really good chewy chocolatey cookie straight from the oven. I found this recipe online but it it didn't have enough chocolate in it so I reduced the flour content and added some more cocoa. I think next time I will add more cocoa to it but that's personal preference. 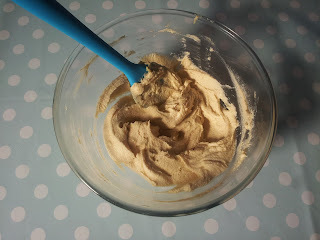 I also had some Tate and Lyle golden syrup caster sugar in the cupboard that I got in my goody bag from the Leeds Bake Off that I had yet to try out so this seemed like the perfect recipe to try it on. If you don't have that soft light brown sugar will work just as well. Beat the egg in a small dish and add the vanilla extract. 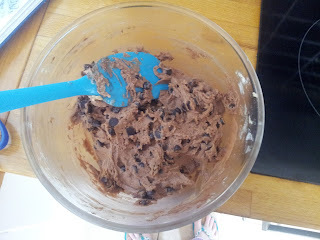 Sift in the flour, add the eggy vanilla mixture and the chocoloate chips and mix together. Roll into balls (about a heaped teaspoon of cookie dough) that are a wee bit smaller than a golf ball and space well apart on a baking sheet that has been lined with baking parchment. I used a yorkshire pudding tray and yes this will take a lot longer cos I could only bake in batches of 4 but it stopped the cookies spreading together. Bake for 10 mins and using a palette knife carefully place on a cooling rack. 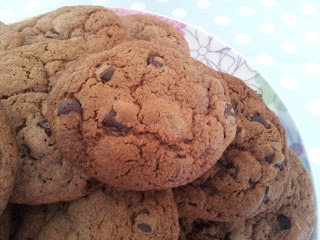 They will still be soft but will firm up while cooling. 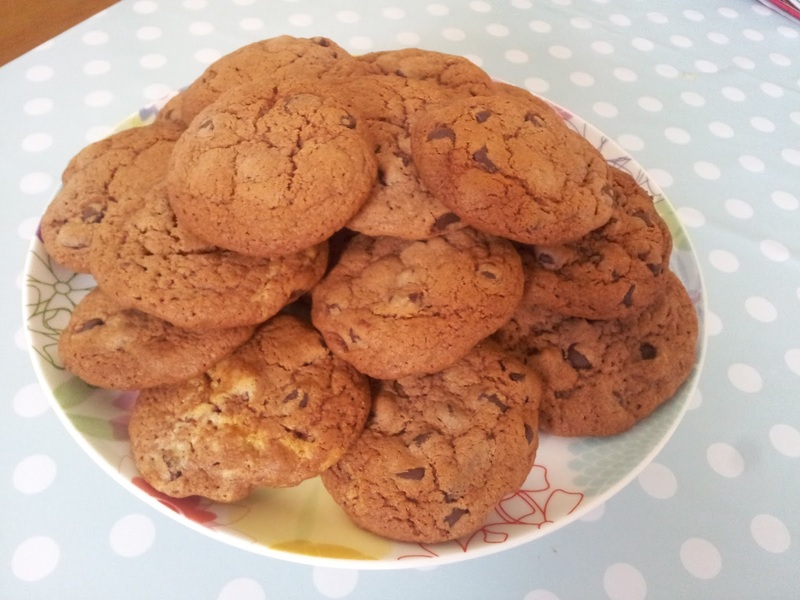 And that's it - easy chocolate chewy cookies!